Judy McHugh knows the power of a personal invitation. 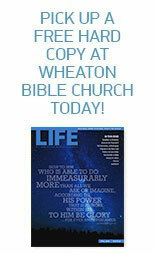 When she moved to Illinois, a friend invited her to Wheaton Bible Church. She agreed, and felt at home right away. She returned the following week and sat with her friend in the second row. A few weeks later, on another Sunday morning, Local Impact Pastor Chris McElwee was on the platform extending another invitation: Puente del Pueblo needed volunteers. Judy’s only child had just moved out of the house. Her nest was empty for the first time, and she was feeling the hollow places in her schedule and in her heart. God had used her new church to help fill that emptiness, but she also wanted a place to serve. Though she was new and uncertain, she attended the information meeting that afternoon. On her first day at the Puente program, Judy met Lilia, coordinator of the after-school program. Lilia introduced her to a young boy named Kalvin and asked Judy to read with him. The two sat on the floor in the hallway, and as they began to read, Kalvin leaned against her. “Just like that, he grabbed my heart,” Judy says. “My heart was Puente, my heart was with these children. So began Judy’s six-year daily relationship with the kids in the third- and fourth-grade classroom of Puente del Niño. These days, Judy is meeting the younger siblings of the children she worked with in her first years of volunteering at Puente. Making those family connections, in addition to the individual connections, has been powerful for both Judy and the children. One day, when Lilia and Judy were outside, they saw a group of older kids running across the field toward them. At first, Judy was confused. But when they arrived, the older children threw their arms around Lilia and Judy, jumping up and down with excitement. Having seen the power of a hand extended in invitation—first to visit Wheaton Bible Church and then to volunteer with Puente—Judy is passionate about inviting others. “I’m always talking about Puente,” she adds, smiling. “You can’t shut me up. I even offer to drive those neighbors to orientation. Of course, Judy knows that it can take months and even years to get to that moment. So she encourages other volunteers to keep investing, even when it is hard to see the outcome. “Even when you don’t see the fruit, every moment you spend is making an impact. Whatever you do with these children—sitting with them, listening, talking about God or sharing your own story, showing them that God is with them in the good times and the bad times—it will come back to these kids because it becomes part of them. One of Judy’s friends was compelled by her invitation and decided to join Puente as a volunteer. Sometimes the friend felt inadequate and wasn’t certain she had anything to give. But when her friend considered giving up, Judy reassured her that God had chosen this place and time. By the end of her second year, Judy’s friend began to make significant connections with some of the kids. In sticking with it over a period of time, she had developed trust and relationship with the children she tutored. Through a long-term investment, she was making a difference. And that friend isn’t the only one Judy has personally invited into volunteering. She has enthusiastically recruited several others—and she’s not done yet. “I have a few more names up my sleeve,” she says, with a twinkle in her eye.